Gov. 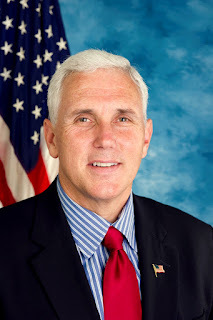 Mike Pence is canceling a Bureau of Motor Vehicles contract with private license branch operator Express MVA and requesting a formal ethics investigation into a top BMV official who took a job at the company after allowing it to charge customers a “convenience fee” whose legality has been questioned. Those moves come in response to an Indianapolis Star investigation published last week. The Star found that former BMV Chief of Staff Shawn Walters allowed a relatively small contractor called Express MVA to open a private license branch complete with BMV-issued workstations and access to the BMV’s computer system. The arrangement cost the state no money, but allowed the company to charge customers — including auto dealerships — a so-called “convenience fee” for title and registration work traditionally provided by the BMV. Those fees can double the cost of the services and are often passed on to car buyers, who may not realize they could save money by going to a local license branch. Walters then took a newly created executive job with Express MVA without seeking an opinion from the state’s ethics commission. State law requires a one-year cooling-off period for employees who want to take a job with a company that does business with the state. The law is intended to prevent private companies from using lucrative jobs to entice or reward state officials who have the power to award them contracts. This BMV fiasco dates back to the administration of Governor Mitch Daniels. Unfortunately, Governor Daniels ran a very loose ship when it came to his office supervising the work of the state's administrative agencies. It is good to see Governor Pence take a more aggressive approach to his role as the state's chief administrator. It took him long enough! He should have cleaned house the minute he took office. Pence's effort is to little to late. I seriously doubt anything will happen to the BMV officials in this case! But if Pence is so inclined he should look into Ron Stiver's reign as BMV Commissioner he might find some interesting things. You will recall that Mitch asked for a very tough bill for internal corruption detection, prosecution, etc. etc. and the Legislature watered it down to next to nothing. D's were not eager to fill the jails with D's. However, in the era of R supermajorities said bill could have been made stronger and passed and signed...however, the crooks hanging around the Gov like flies around excrement have also no desire to be in jails. Anon 8:07 Daniels got the IG Bill he wanted. The IG is appointed by the Governor and reports to him. Daniels is an evil man who should be locked up!